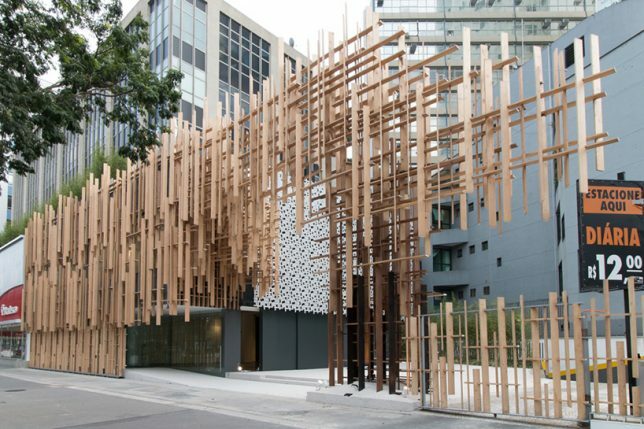 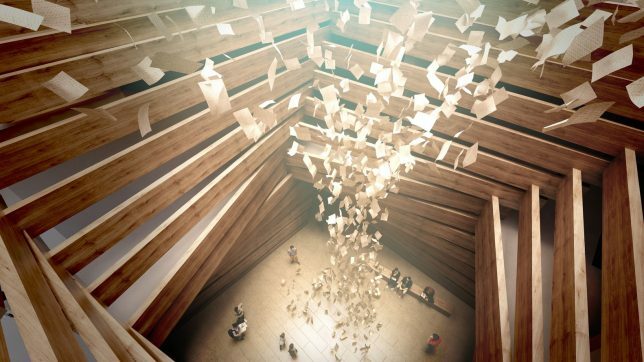 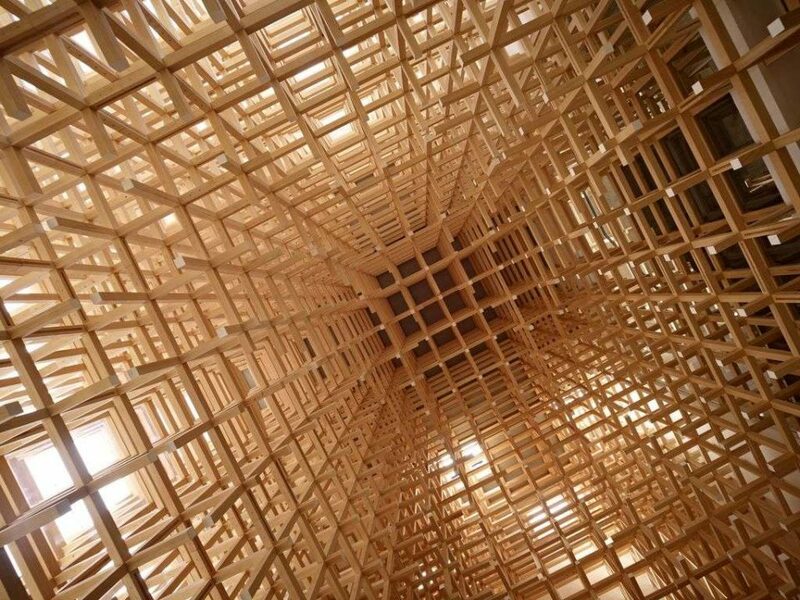 Acclaimed Japanese architect Kengo Kuma brings traditional Japanese building techniques and aesthetics into the 21st century with dynamic structures making creative use of wooden elements. 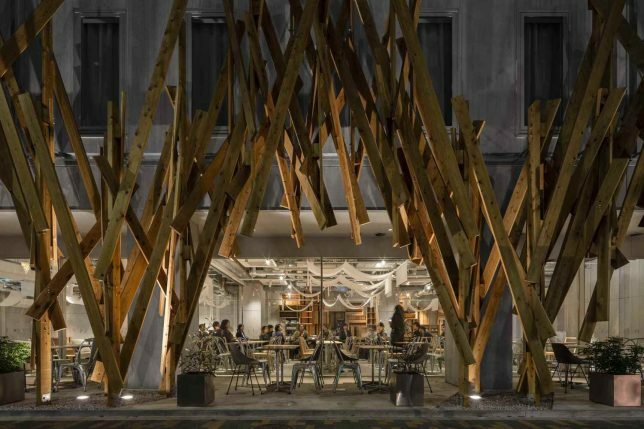 Known for his gridded installations and unusual ways of stacking and assembling small pieces of wood, the architect often works with joinery techniques that negate the need for any metal fasteners. 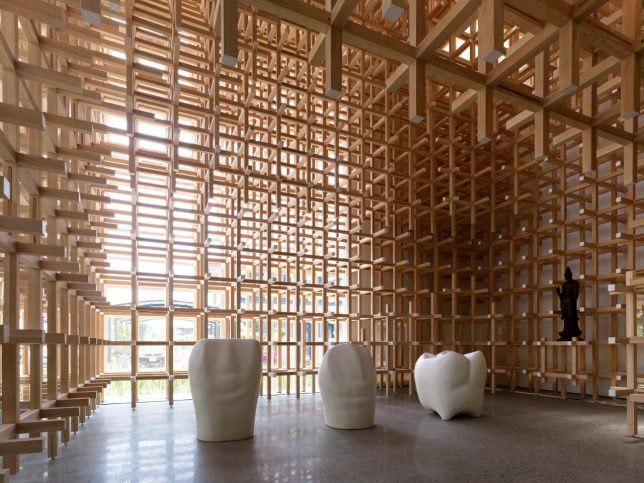 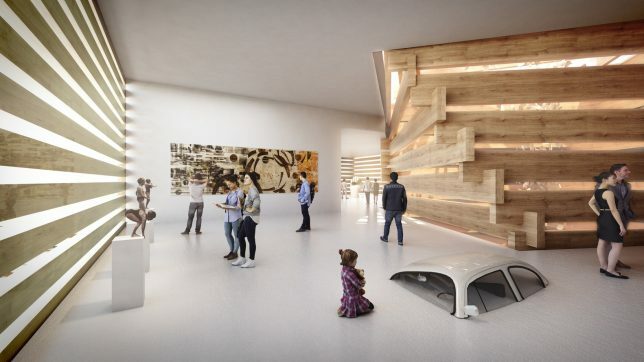 Three iterations of the ‘Japan House,’ an outreach initiative by the Japanese government aiming to nurture a deeper understanding and appreciation of Japan in international communities, are planned for São Paulo, Los Angeles and London, respectively. 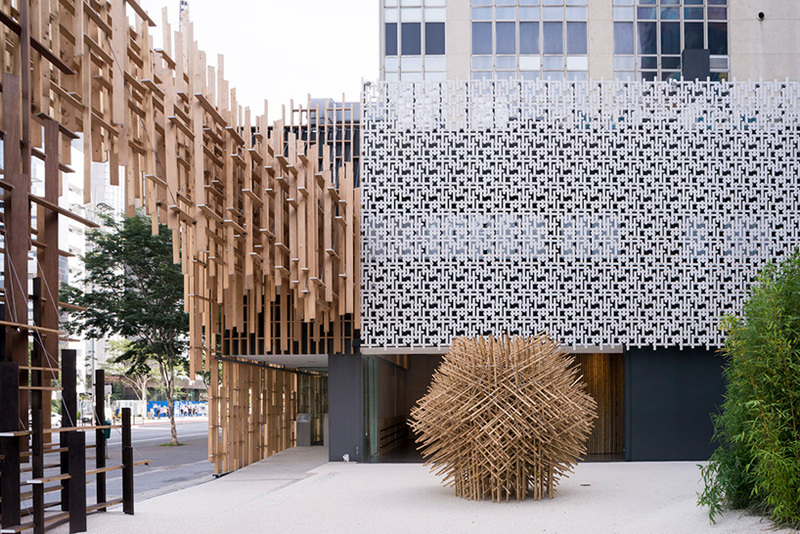 Kengo Kuma recently completed the first one in Brazil, creating a tranquil and hospitable space within the bustling metropolis with one of his signature facades, this one made of cypress. 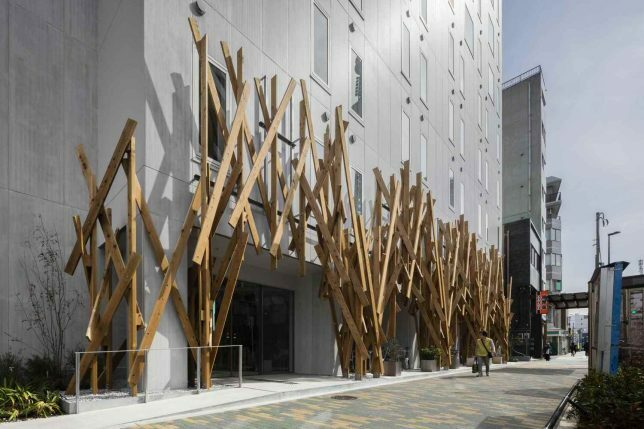 A facade of criss-crossed wooden beams gives the extruded cement panels on the front of the [email protected] hotel a more dynamic appearance. 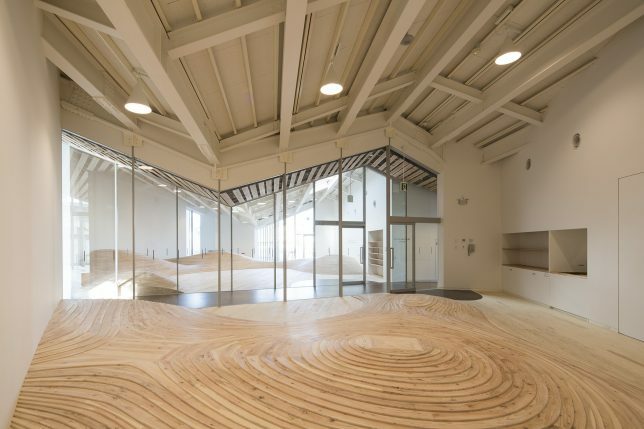 The architect wanted to “recall the rather rough but still approachable quality of this area,” which has historically been an industrial neighborhood full of small factories, but the beams also suggest abstracted tree branches as if to create a forest in a highly urbanized area. 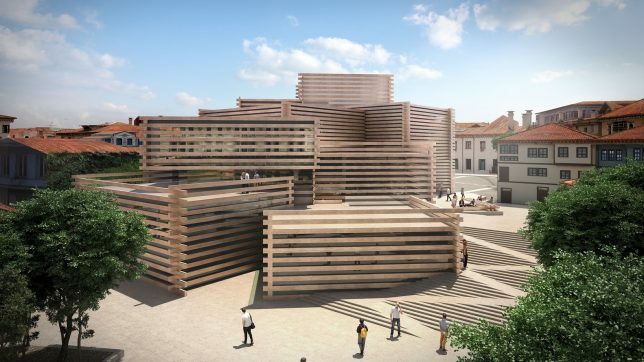 Stacked volumes clad in oversized wooden screens call to mind the childhood toy Lincoln Logs at the Odunpazari Modern Art Museum in Turkey. 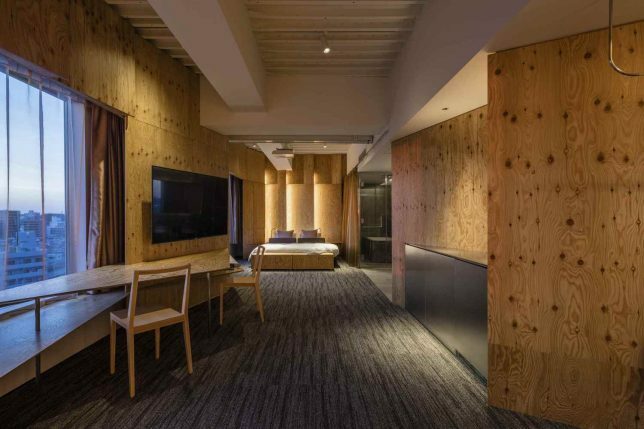 Kuma takes inspiration from the scale of traditional Ottoman wooden houses, and references the fact that the neighborhood is known as Odunpazari, which translates to ‘wood market’ in Turkish. 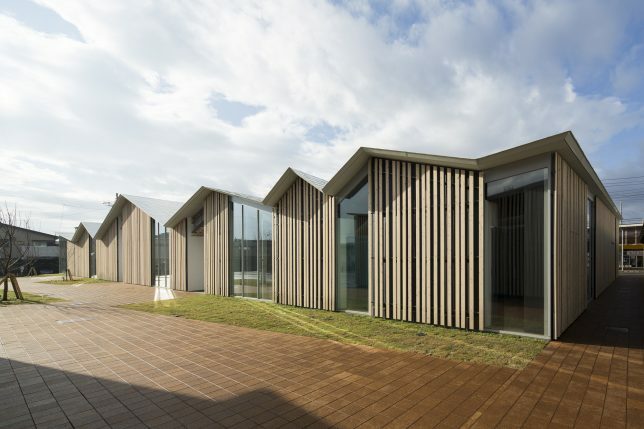 The series of gables in staggered sizes and angles seen on the exterior of the Towada Community Plaza aims to echo the rooflines of houses in the residential area surrounding it, helping it to blend seamlessly into the neighborhood. 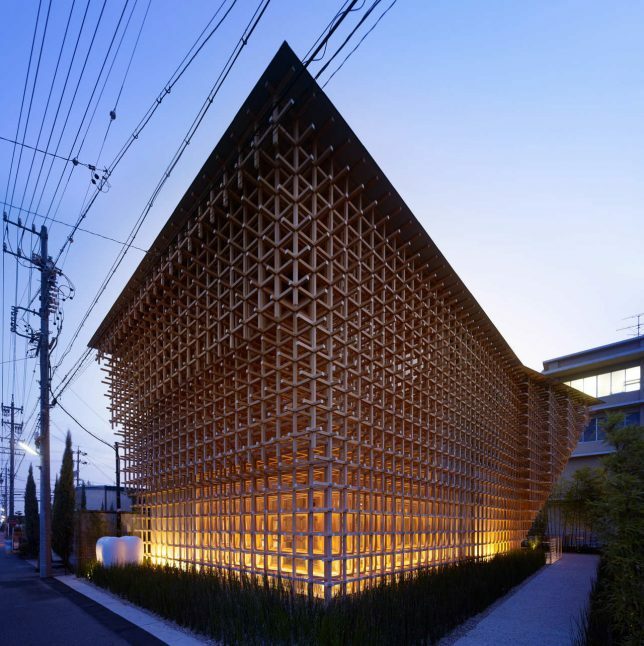 Wainscot panels are applied to the facade with spaces in between to add some warmth to the glass walls, and screen sunlight. 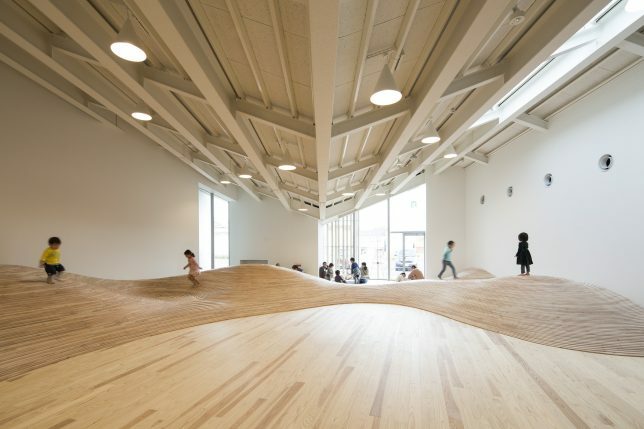 Inside, undulating wooden floors made of cut and stacked plywood create a topographical playscape.